There has been a lot of hype about the benefits your blog and website can get from Guest Posting, and with reason. It is a great way to gain traffic and SEO benefits, and is relatively easy to do if you have good content to share. There has been a lot written about how to find quality opportunities, but we often overlook where NOT to post. The fact is, there are plenty of sites that you shouldn’t waste your time with contacting, and some sites that you want to pass on even if they offer you a spot. 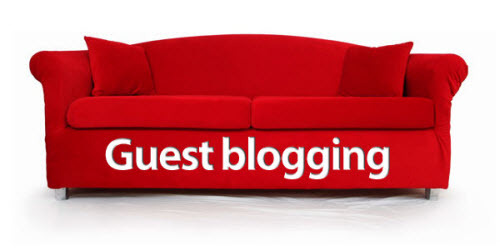 So in order to optimize your SEO and guest post outreach, here is a way to qualify guest post opportunities. Some blogs may seem like good, or rather easy, opportunities to post. They have decent content and followers, so it seems like a go, right? Well on thing to do is see when these sites posts. If they’re most recent article is current, even within a few days, go ahead and try to submit. However, a lot of blogs will have large gaps in posting, up to months between articles. If these sites are posting often, you should pass. Chances are if they aren’t active they will not help promote your blog, or even take an initiative to get your post up in the first place. Furthermore, inactive and under active sites get ignored by search engines, not giving you the SEO benefits you want. The opportunities should be avoided, as it is a big drain on your time. This is something that seems logical, but is often overlooked or taken for granted. Don’t post to sites that post pornographic or any other trash material. This will greatly ruin your SEO efforts, as search engines don’t like these sites. So this sounds easy; don’t post on adult websites. There is an extra step to look for, however, and that is to not post on sites that even link to that stuff. We sometimes overlook side bar ads and links, but if a blog is linking to a trashy site, then they, along with your post and link, will get devalued and/or penalized. I have sometimes heard it described as this: think of your blog as your home. We protect our homes from harms and sketchy individuals, and that tenacity needs to be applied to protecting our online “homes.” We need to be vigilant about where we place or material. These are the biggest, and most important, things to look for when qualifying sites to NOT post on. We harp too much on guest posting, and posting at any cost, but sometimes getting on a site can do more harm than good. Be careful where you put your links, and make sure you’re not wasting your time. The old mantra of “Time is Money” always holds true, even in this case. Be safe, be smart, and happy blogging! Jordan is a social media and SEO blogger out of North Carolina. Currently he writes for Safe From the Start.